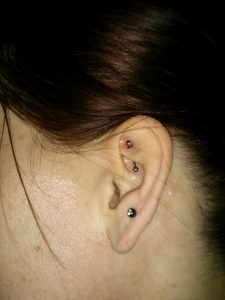 I have been coveting my friend’s rook piercing for years and decided to treat myself today. And since I’m on vacation, why not? 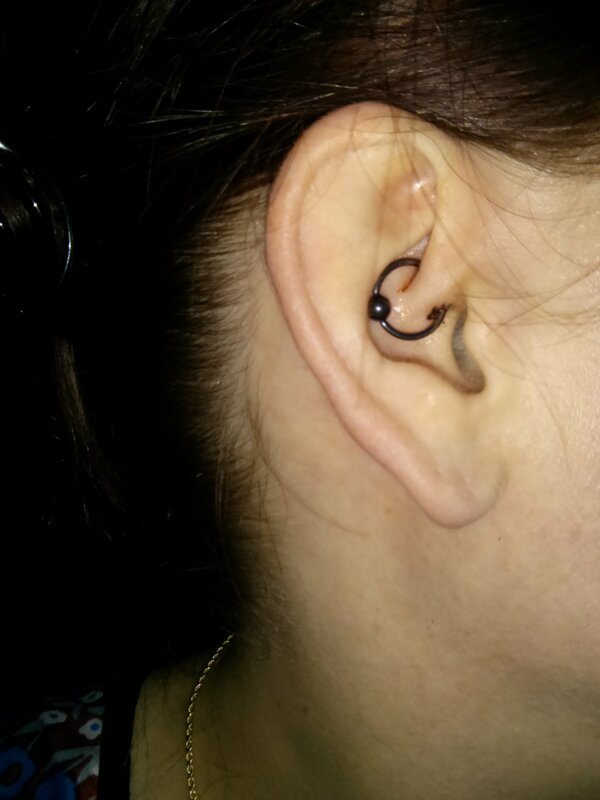 The staff at Almost Famous Body Piercing was patient, courteous, and incredibly helpful. I basically had a consult, and it wasn’t until I was absolutely comfortable with my choice of jewelry (they advised titanium, due to my nickel sensitivity), piercings (the coveted rook, the daith, and one in my lobe for symmetry), and placement that we proceeded. At NO point did I feel rushed. Very relaxed, very calm. Although there were folks in the store when we got there, and I figured more might be coming in, any sense of time was internal to me. I have no idea how long I was there, probably an hour total including the consult and time in the piercing room. Michelle was absolutely fantastic!! Calm, confident, patient, very conscientious about sterility, professional, professional, professional, AND fun! I cannot rave enough about this experience, and if you are even just CURIOUS – even just a little – about piercing some precious part of you, this is the place for you to start that journey, hand to G-d. Wonderful! If Almost Famous Body Piercing weren’t ten hours from my house, I could guarantee I’d never get pierced anywhere else! But considering I was 19 and in college in Madison, WI the LAST time I got pierced….lol! I’m kicking myself I didn’t wait to have my older daughter’s first pierces at Almost Famous, but there’s still my son (age 7), and my youngest daughter, age 2! My experience was freaking epic in all the ways I couldn’t have even thought to ask about or look for in a shop. I feel like I got total VIP treatment just because I was there, wanting to get pierced. Bravo!